the following is a good example. 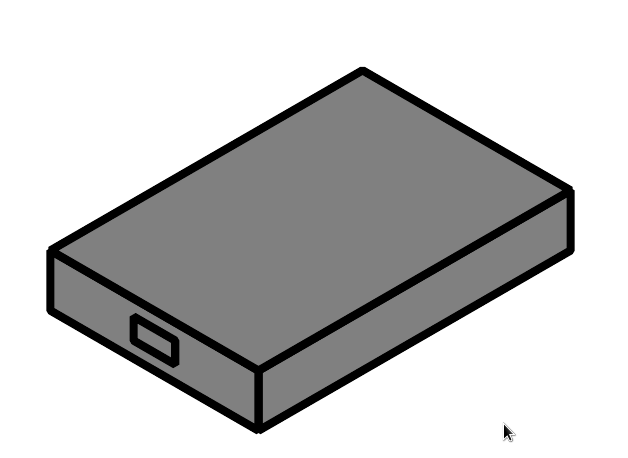 let's say I want to draw an SSD-like box. eight points, not identified by grid coordinates, but by relative angles. now I am trying to highlight one of the vertexes, say in red, to remind which is which to help me visualize it. for this simple wireframe, this is easy. if I have 100 points, it is hard. the problems I want to tackle intelligently are ( 1 ) two triangles that are not colored, and ( 2 ) hidden rays. So I think I will need to recode this into rectangular coordinates. I hope that I won't have to overlay a grid and read points off it. Can tikz output its calculated coordinates, or do I need to write a program? or, even better, also where lines cross? generalizability is better than clever specialized solutions. I am asking because I have a couple of these problems. advice appreciated. I am taking care of the hidden lines by drawing the surfaces one by one. The figure is now movable just changing the starting coordinate in one point. Adding nodes as in @JMP comment can take care of red dots, and naming vertexes with coordinate(name) will let you draw thin hidden lines if you need them. to path + relative coordinates in TikZ? 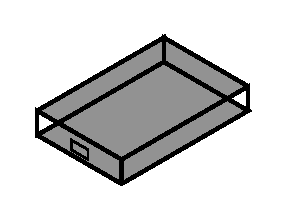 How to draw rectangular boxes with TikZ?